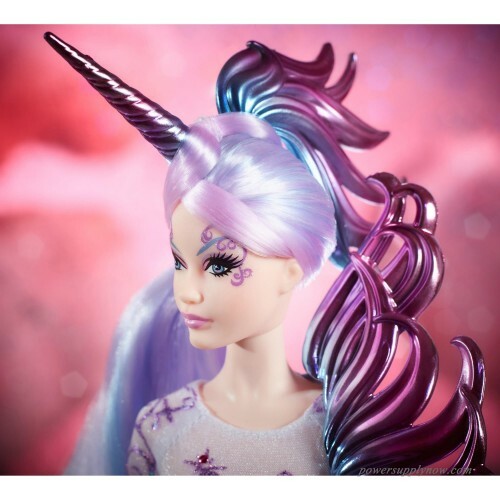 The first doll in the enchanting Mythical Muse Series, Unicorn Goddess Barbie doll is fabulous and alluring in her iridescent unitard accented with an intricate shimmering swirl design. A bold waist-to-shoulder ombre "mane" adds drama to her sleek outfit. 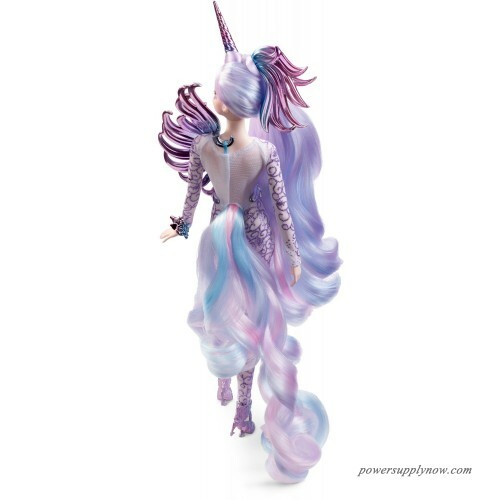 She features whimsical glitter eye make-up, and has flowing opalescent hair beneath her breath-taking unicorn head-piece. A cascading, rooted floor-length tail is a fantastical finishing touch. Her accessories include unicorn themed heels and a wrist cuff. 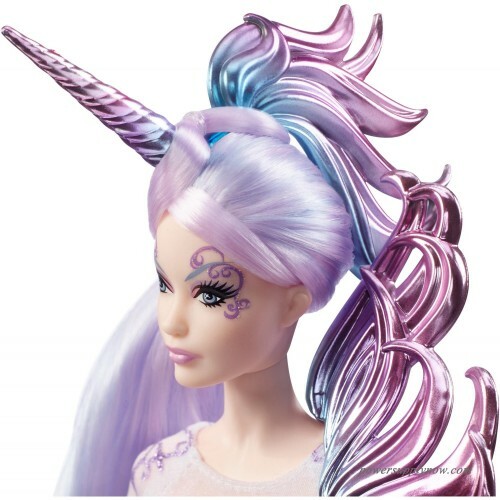 Unicorn Goddess Barbie doll is a beauty of which fables are made. 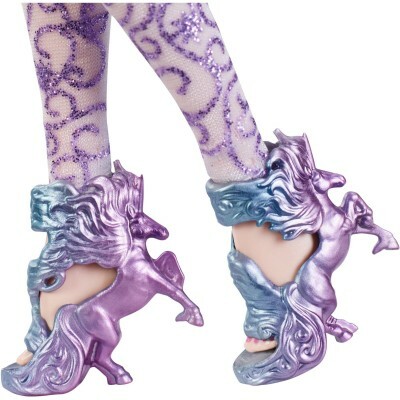 Includes Unicorn Goddess Barbie doll, doll stand for display and Certificate of Authenticity. 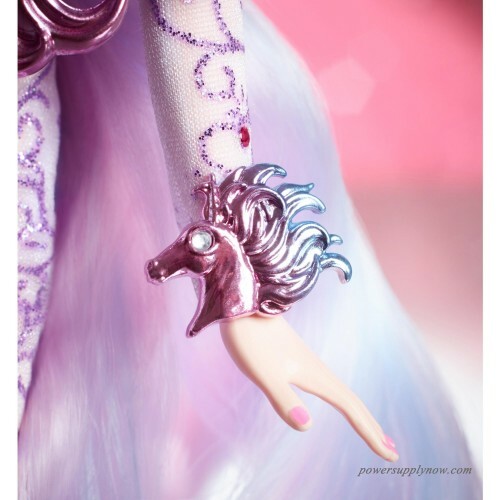 She is the first doll in the enchanting Mythical Muse Series. Her cascading, rooted floor-length tail is a fantastical finishing touch.